Moreover, when new items have been created or existing ones being modified, permission levels that previously configured in the Permission Workflow will be automatically assigned to the users and user groups involved. It means administrators, now, are less likely to be distracted from important projects by random assignments, which will considerably increase the time and efforts that can be spent on high-level administrative tasks. Furthermore, as an intelligent mechanism, SharePoint Permission Workflow enables administrators to achieve the same results as they manipulating the process manually. 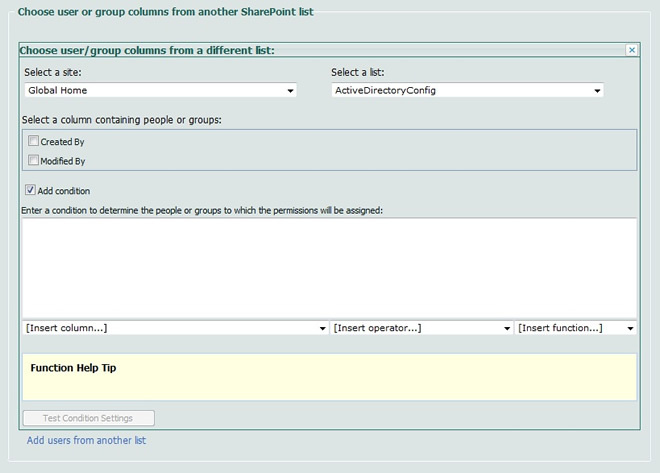 It allows for specifying certain users and user groups that will be assigned custom permissions by setting fully-customizable conditions according to administrators' own consideration. Qweas is providing links to SharePoint Permission Workflow 2.3.1215.3 as a courtesy, and makes no representations regarding SharePoint Permission Workflow or any other applications or any information related thereto. Any questions, complaints or claims regarding this application SharePoint Permission Workflow 2.3.1215.3 must be directed to the appropriate software vendor. You may click the publisher link of SharePoint Permission Workflow on the top of this page to get more details about the vendor.